What a busy start to 2014. This year began with The Surge Collective exhibition, which has so far raised nearly £1400 for the EDP Norfolk and Lowestoft Flood Appeal, which was started after the tidal surge of December 2013. I wrote this blog during the exhibition, and have only just got around to posting it for you - so sorry for the delay! I'm writing for you today, sat in The Forum in Norwich. It's day 2 of an exhibition, which has been my life for about the last month. That explains a little my lack of attention to you, dear reader, for the last month or two. Also let's be honest, I've been a bit crap at keeping in touch. I may get called away at any moment, as although it's just early on day 2, we have been really busy with this exhibition. You may have heard about it if you live in Norfolk and Suffolk, and maybe even if you live further afield. 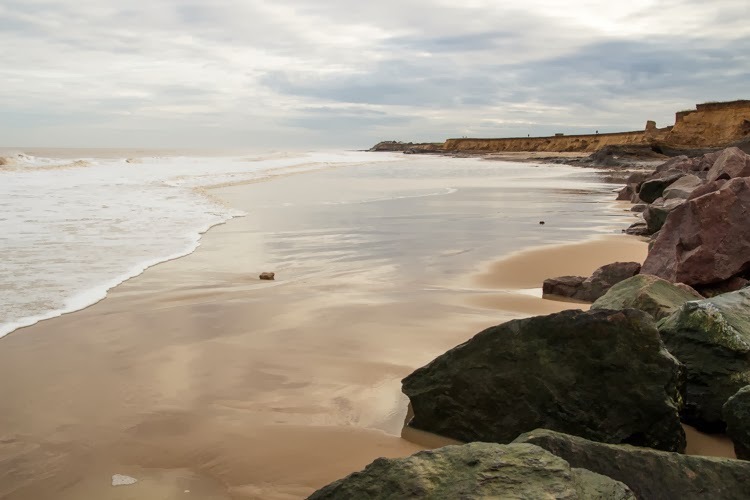 It's by a group of artists from Norfolk and Suffolk, who have come together to form The Surge Collective. I'm going to tell you about how it came together, and a little about about the journey to where we are now, sat in one of the most well known buildings in the county, hopefully raising a lot of money for charity. So you may remember my last blog which was all about the December 5th 2013 tidal surge, an extraordinary event which wreaked havoc along the East Coast. I went out the Saturday following the event to check out some of my favourite Norfolk places and the experience left me humbled, but also troubled by what I had seen, and I spent a lot of time questioning the ethics of taking photographs in certain situations and why I as a photographer take the photos I do. 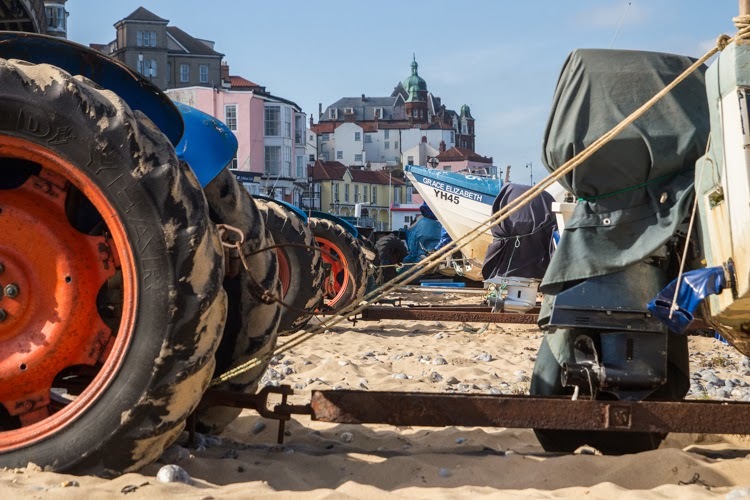 I felt compelled to do something for those that had been affected and started an ebay auction, for a photo I had taken on Cromer Pier a few years ago. This raised a few pounds for the EDP Norfolk and Lowestoft Flood Appeal, but I quickly realised that Ebay was not the platform to sell work in aid of such a local cause. Talking to my dear friend Katy Walters, she suggested that there may be other photographers who would be interested in selling their work to raise some money, and why didn't we do something together? Well that IS a good idea I thought, and spoke to the lovely Nick Stone, who floated the idea on Twitter. Then suddenly we had 16 artists from Norfolk and Suffolk, and a whole lot of work to sell. What could we do? How could we do it? As usual for me, I got very excited and started to think about all the exciting things we could do and how we could do it. Time was of the essence, we needed to do something quickly. I thought I better talk to the folks organising the appeal, and so we got in touch with David Powles at Archant, who has been a great supporter of the cause throughout and a brilliant help. We at first thought about a charity auction, but with the resources that would be needed, it wouldn't be possible to do this quickly. Instead David contacted The Forum in Norwich, to see if they could help. And yes they could. Amazingly at the end of December, they said that although they were tight for space, they could offer us a space over the weekend of the 17th to 19th January. And so The Surge Collective was born and we had something to work to. And work we did. Everyone thought about what they could offer up, and very soon we had 40 works donated for the exhibition. All of the artists agreed to fund production of the work themselves, and donate 100% of the money from the displayed work to the EDP Norfolk and Lowestoft Flood Appeal. Amazing! Along the way various people came on board to offer help, a number of companies both local and not so local were very kind in helping us out with donations of time, expertise and their wares. AMC Photographics in Coventry. 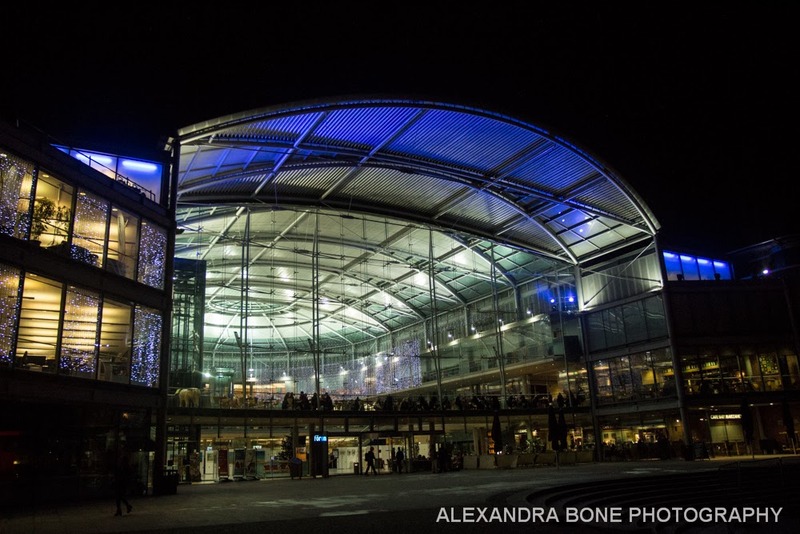 Fabulous Frames (Norwich), Norfolk Camera Centre (Dereham), Peter Richardson Framing (Old Buckenham), Starfish Design (Norwich), Swallowtail Print (Norwich), The Print Space (London) and The Sainsbury Centre for Visual Arts (Norwich). I was thrilled at the response we were getting. We could really do this! The Norfolk Community Foundation were also really helpful in sorting out the finance side of things for us, and ensuring all the money we raise goes to the people who need it. The press and media have also been amazing, with the Eastern Daily Press, Evening News, Mustard TV and BBC Radio Norfolk giving us plenty of coverage. The universe of Twitter was also entirely helpful, with so many people coming on board to help us spread the message. In just over two weeks, 4000 people had read about what we were doing. Everything was put up ready to go on Thursday night and here we are on Saturday 18th, safe in the knowledge we have already raised enough to help some of the communities in our area. This is all we hoped to do. People have been extremely generous in their donations, and we even had local Cromer artist Gaia Shaw pop in on Friday and sign and donate some of her artwork for us to sell for the appeal. Fantastic. It's been great for us local photographers to come together and spend some time with each other during the lead up to the exhibition, and now during the exhibition. Curating this has been a really good experience for me. Of course it has been very busy, and a lot of work to get everything organised and accountable, but it has been fantastic to work with some of my favourite Norfolk and Suffolk photographers for a great cause. I have loved how enthusiastic everyone has been, and how helpful. Everyone has given up so much time and it couldn't have happened without them. It has been really lovely to meet so many people who have come to see the exhibition also, talking to them about our beautiful counties of Norfolk and Suffolk and their experiences of the coast and the surge.